I am finally sharing the photos that I took for my consecutive 3-days 21st birthday celebration (gee, what a mouthful!)!!! I kicked off the celebration of my 21st birthday on the 29th of December 2013 with my JC clique! Breakfast together with them is a first. We are all.. fond of our beauty sleep. PLUS we had insanely busy schedules that don't ever seem to match. It was rare that we could find an opportunity for all of us to gather and meet, and an even rarer occasion that we all agreed to meet for breakfast! Meeting them was awesome!! Food pics coming up next! Disclaimer: Other than my own order, I tried none of my friends' orders, hence the comments about the other dishes are subjected to the tastebuds of my girlfriends. According to Xin Yi who had this, the sauce became too overwhelming and sickening halfway through the meal. The portion was rather sad.. (no sides given + the portion served was really rather small) and hence it seems a little overpriced. According to Wan Lin, it's your average waffle. Nothing surprising, nothing overwhelming. If you are looking for something trustworthy to eat, here is your choice of option. Now, this is MY order. Portion-wise, as compared to the other things on the menu, this is definitely worth its price! Remembering that I had this as my breakfast... I usually don't eat a lot for breakfast hence I didn't get to finish everything on my plate as I was too full already. However if this was for lunch, then I guess it would be an alright portion! If you're looking for a heavy breakfast, THIS IS YOUR CHOICE!!! The salad and chips were the same as the ones in my Shepherd's Pie order. According to Su Jean, the sandwich was average. But yes, this is a really filling dish!! However the price seems a little too steep given the ingredients and standard of the food (to each his own). Your typical hotcakes breakfast. According to Denyce, nothing special about this plate of hotcakes. So yeah, another one of the trustworthy choices if you aren't game enough to go for anything out of your comfort zone! Ignore the (other group of) girls in the background, I don't know who they are. They merely shared a table with us. I took this picture because I liked the way that decorated the cafe with small pots of plants (not sure if they are real plants!) and that intriguing art piece (a toilet bowl beside the stairwell in what looks to be like a castle?). After having breakfast at Group Therapy, us girls went to one of my friends' house (because she lived the nearest) to play cards. It's been so long since we gathered together for a game of Bridge. That was our favourite past-time during our JC days. Whenever our break time or in between classes, we would pull out our deck of cards from under our table and start to play. It was thrilling because we had to avoid being seen playing cards by any teacher. Some of our teachers did see, however they would immediately close or shield their eyes and tell us to quickly keep them. 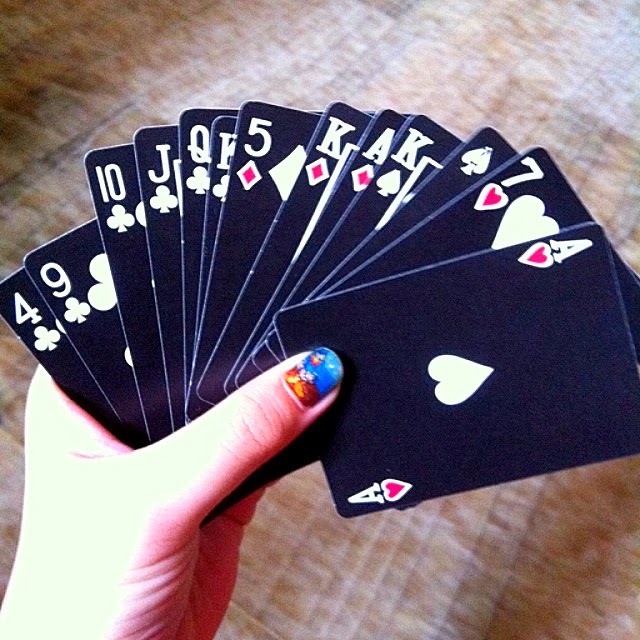 Playing Bridge was the highlight of my JC days - and most of my friends too, as we agreed in unison while playing that day - and it was what kept us sane and going on through those days. After spending half a day with my JC clique, we parted our ways because Su Jean had to run off and buy a birthday cake for her dad whose birthday was on that day itself (her dad's birthday is one day before mine and I only found out after what, 3 years?!! #howslowami). I met up with Rod whom I spent the later half of the day with. We went to The Reading Room, which is now officially my favourite cafe at the moment! I actually discovered The Reading Room while I was walking to Group Therapy. Somehow, it caught my eye and I made a mental note to come back to check out, which was what I did after parting ways with my girlfriends and that.... is one of the best decisions of my life. I was greeted by.. shelves and shelves and shelves of books!!!! There are all sorts of books at The Reading Room. They have art magazines, fiction of various genres - I saw the full series of Twilight.. some Stephen King books.. Goosebumps!!! Gosh I miss reading that! - and biographies too I think. Super happy + relaxed me! They specially decorated the place for Christmas and draped white cloth from the chandelier to various corners of the eatery. They hung clear plastic snowflakes on their lamps and the whole place looked so magical. It practically looked like a scene taken out of a fairytale book. Something like the snow scene in Alice in Wonderland? I wish I could have found a way to capture the beauty of what I saw that day. The whole place was just so so so pretty! Unfortunately I couldn't, and it was one of those experiences in life where you have to be there to see it in order to feel it. Coolest and most innovative menu that I have ever seen. Full marks for creativity! Very green too!! No need to waste money and print a hard cover menu! 5 out of 5 stars!!!! Not too thick. Not too milky. Just right for me. Although.. I think that it would be a little better if it could have been a little bit more chocolatey. I always go for blueberry muffin if it is available. This one is not bad. I quite like it. The Reading Room's food menu is for mushroom lovers. I say that because.. it is the menu that I have ever come by that has 5 DIFFERENT MUSHROOM DISHES!!! So far, I've tried their Deep Fried Mushrooms (as seen in the pic), Garlic Mushrooms (served with toasted slices of french baguette), Grilled Portobello and Portobello Fries (tried these other 3 during my second trip to TRR).. and I prefer the Grilled Portobello and Garlic Mushrooms. This is okay.. but I wouldn't recommend you to order it. Go for the mushrooms. It's more worth it and (TRUST ME) it tastes better! So around 5-6pm, they would dim the lights in the cafe.. it's a thing they do. Probably to save electricity? I don't know. If you wanna see the place when it is brightly lit up, go during the daytime. It's a completely different feel when it is lit up and when it is dim. When the place is light up, it feels like a cafe. But when the lights have been dimmed down, the place seems bar-like and.. it is equally great for chilling out. 2 completely different feels within the same place. Gosh I love love love this cafe so much!!! IT'S SO COOL AND SLEEK! I'm gonna end off here now and continue Part II another day!! Many many more photos to post up! Anyway, today is Chinese New Year so.. This is a super short and super random post but I'm feeling so HAPPY now that I have to announce it out loud!!!!! I just finished the last powerpoint presentation of the semester and it was a rather satisfying presentation (Not because I didn't do the bulk of the work! And I am really grateful and appreciative to my other 2 group mates!!) and.. I'M JUST SO HAPPY THAT IT IS ALL OVER!!! Today I'll be introducing one of the few eateries that I found in 2013, which are not your common eateries, it serves excellent food (in my opinion) at a damn cheap price (judging based on the current economy and market) and it is one of the few eateries which I would highly recommend to my friends! 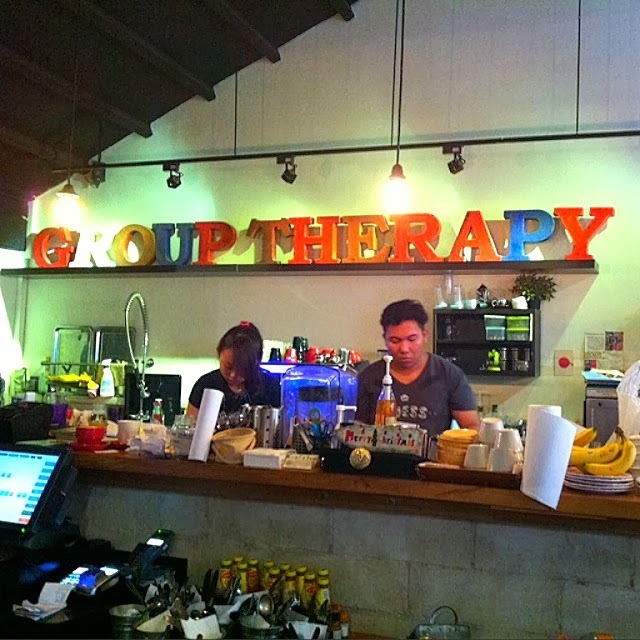 This eatery is situated near Haji Lane, so do patronise them when you are at Bugis! If you have been following me on Instagram, you would know that I have mentioned this eatery before and how very much I love it! It is quaint place tucked in a street amidst lots of other eateries, the food is good (how many times have I mentioned this point already?!!) and the service is DAMN GOOD!! It is that kind of place that makes you keep wanting to go back for the food and the atmosphere.. It really is a good place to chill out and relax! Liberty is a pub/restaurant; I have patronised them before both during lunch and dinner hours. Their set lunch is fabulously delicious and the price is unbelievably cheap! Lunch: Liberty Beef Burger (mine) & Liberty Club Sandwich (Rod's). $8.90 for 1 set lunch, inclusive of a drink from the drink menu! Around the week of Christmas 2013, I decided to drop by Liberty again (armed with a compact camera this time) to do a review during their dinner hours. Dinner was as wonderful as lunch! Upon entering the restaurant, I was greeted by their friendly staff who approached with friendly smiles and a warm service. They showed us (Rod and I) to our seats and subsequently brought us their menu. I was too in awe by their interior décor - which was even more beautiful when seen in the night than in the day - to look at the menu. For once, food came second. I love love love the lights! The 2 picture that I took does it no justice at all! You have got to go see for yourself! Then again, I took these around the Christmas season so the lighting which you see now might be different.. BUT!!! I bet the lights at the back of the restaurant are still there (ie. the blue "light bulbs" that you see in the picture). This might seem nothing to you but I am all about DIFFERENT! Like what I mentioned earlier on, I went during dinner hours this time to try out their dinner sets. Their dinner sets came with either a choice of their soup of the day or dessert of the day, and a drink of your choice from their dinner drinks menu. I've had my fair share of tomato soups. Most of them look.. red. Artificial colouring, I suppose. Anyway back to this orange-coloured homemade tomato soup. With or without the cream.. IT TASTES SUPER GOOOOOOD!!! It is thick (note: NOT STARCHY) and brimming with taste! This was a great as an appetizer because it totally got my appetite working and made me hungry for my main! As you can see from the picture above, drinking isn't the only movement involved when consuming this bowl of soup, because of the ACUTAL tomatoes that they used, hence a bit of chewing is required as well! Initially I thought it was starch and was quite disgusted but after taking a closer look, I realised that it was tomatoes and I got so excited! Honestly, I had no idea that this would be what I ordered because after reading their description in the menu, I pictured a completely different thing in my mind. But anyhow, it tastes really really good as well, hence it makes up for the lack of description in their menu. The taste was okay, however the portion was really pathetic. It was so small that you can finish it in just one bite. Then again the good thing of having such a small portion is that you won't have an issue with wasting food, especially if you had ordered other appetizers in the beginning or a heavy main. I was catching up with my cousin the other day and because we were both big fans of food, we were sharing with each other the eateries that we like! Somewhere in the midst of the conversation, she realised that I have a 'thing' for Bugis because most of the food places that I like are at Bugis! Well.. I personally think that Bugis is a mysterious place and so I'm always there? I like all the shophouses and all the many small alleys.. and so I never know what I might discover around the next corner and when I find something amazing, I find it so thrilling, so fulfilling and so satisfying! Nonetheless, this is just my personal opinion! Going to Bugis again later today to have Moroccan food at Arab Street! Rod likes the Moroccan food there, especially the spiced rice. Another awesome thing that I like about Bugis is the arcade at Bugis+!! Shall share in another post why specifically the arcade there! I'm not going to talk about it because the last thing I want is to exploit and misuse the purpose of social media. Besides, it is not my kind of thing to garner undesired negative attention. Now, onto more happy things! CHINESE NEW YEAR WILL BE HERE IN A WEEK!!! Have you bought your new clothes yet? Unfortunately for me, I will be too swamped up with projects, presentations, reports and upcoming exams.. hence I don't think I will get the chance to go new year shopping! BUT!! Lucky that I am a shopaholic, so there are still a couple of clothes in my wardrobe which are still unwashed and brand new! I'm gonna be digging them out to wear during CNY! I am looking forward to Chinese New Year this year because.. I WILL BE RECEIVING A RED PACKET FROM MY SISTER!!! Hang in there if the upcoming week is going to be a tough week for you! Just keep in mind that CNY is just around the corner, which also means soon you will get the breather you so badly require and deserve!! About a week ago, I went to Woodlands Waterfront to snap sunset pictures for a project! It is my.. 4th time there. If you are into monkeys, there are a ton there. Bat (pronounced as "but") says that there are really friendly and they are like cats? She was surrounded by a troop of monkeys (young and old) and she was happily patting each of them on their heads!! But anyway, I have to agree that the monkeys seen at Woodlands Waterfront are damn cute! Okay, enough with the monkey photos. Let's look at some humans now. Took a picture with Bat! I was threatening Joey that I would flung her little doggy into the deep seas with just a simple flick of my arm! Newly-opened halal seafood restaurant, situated right at the dock!! I didn't eat at the restaurant but I did check out the menu and the prices are... HOLY EXPENSIVE! They doubled the prices for all of their dishes (eg. a plate of veg could be $6 at a normal tze char stall that you find below your block, but this restaurant is selling it for $12!!!) and I don't know about their main dishes but I bought a chicken wing, it was insanely expensive and wasn't nice at all. This ONE freaking chicken wing cost me $2.55!!!! Most expensive + soggy chicken wing ever!!! Not much captions for the pictures today because there wasn't anything much to say and the words might have ruined the feeling of tranquility that the pictures present. I love such pictures of nature. I feel all airy fairy now.. like I'm floating on the clouds..